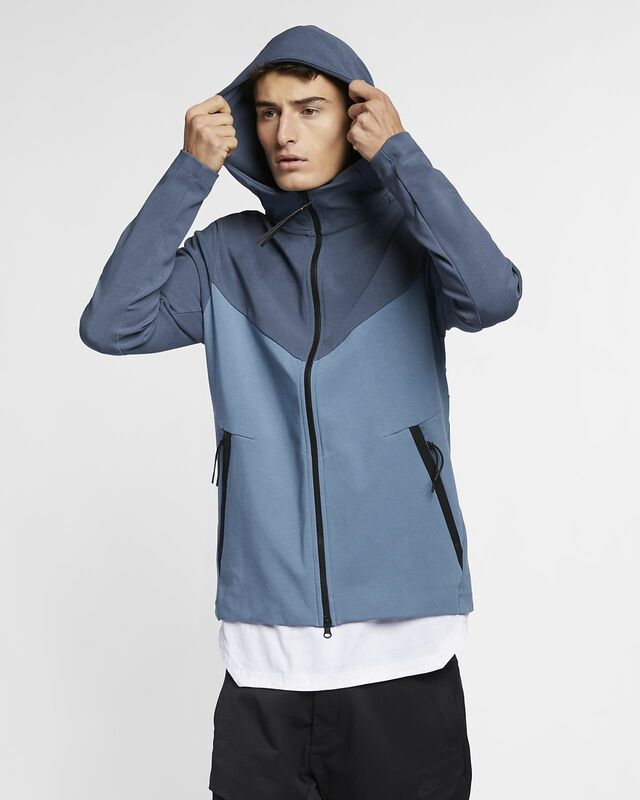 Engineered for movement, the Nike Sportswear Tech Pack Hoodie merges technical design with Windrunner style. It's made from a comfortable mid-weight fabric ideal for year-round warmth. Engineered for movement, the Nike Sportswear Tech Pack Hoodie merges technical design with Windrunner style. It&apos;s made from a comfortable mid-weight fabric ideal for year-round warmth. Full-length 2-way zipper gives you versatile style options. Alphanumeric code appears on the faux-leather zipper pull. Fabric: Body/hood lining: 55% cotton/37% rayon/8% spandex. Pocket bags: 80% polyester/20% cotton.